Is it Fundamental Fish? Fundamental Fresh Food? or Fundamental Cafe & Restaurant? Let's just stick to Fundamental and what stood out at this place was the odd rounding of pricing. How do you know when to round it up to .05c or 0.30c or 0.85c? 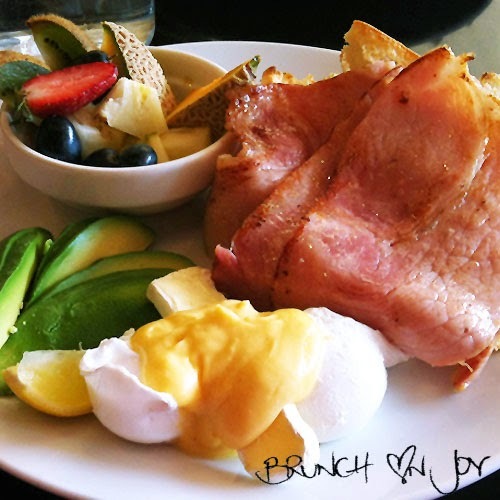 From the menu, I couldn't go past the Eggs Fundamental which was eggs benedict with brie cheese. Love the idea, although the ham didn't look so appealing and I only got a small sliver of brie cheese. The little side of fruit salad was a nice addition. The Big Breakfast comes with a coffee or fresh juice and the meal probably didn't need the extra sides but we were hungry. Eggs were poached nicely on both dishes. 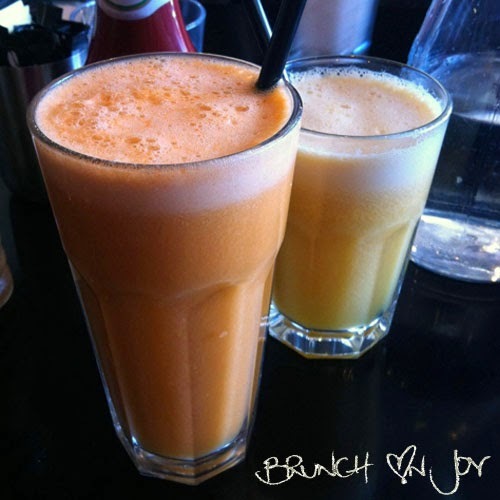 Juices come freshly squeezed with your choice of combination. You'll notice the interesting rounding of $6.05 for a tall glass. The breakfast menu has a few interesting dishes and I did unintentionally stare at an omelette being served daydreaming at how delicious it looked and me devouring it. 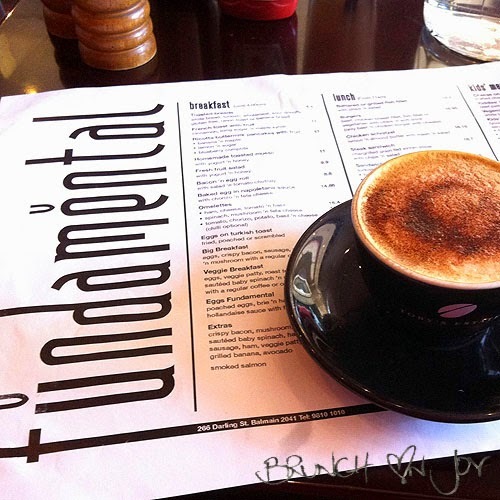 I'm not sure where the Fish or Fresh Food comes into the name but Fundamental is definitely a cafe serving simple modern Australian breakfast food and has a busy weekend brunch service. Plenty of space and a cool trendy interior, it does have a few fundamental things right. what weird pricing! 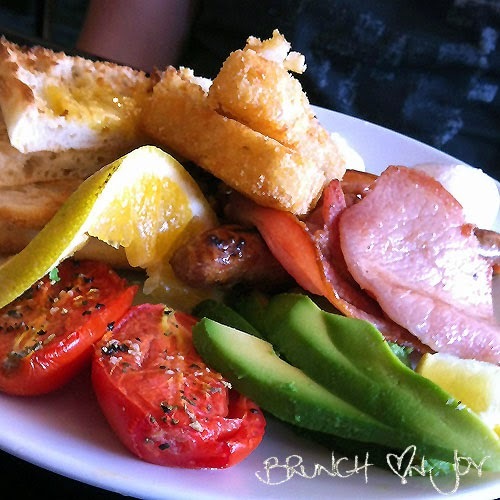 the big brekkie looks delish tho!